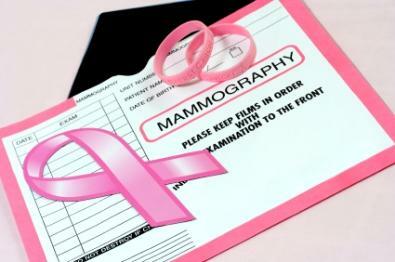 Regular mammograms help with early detection. The Maurer Foundation for Breast Health Education has a mission statement that is very simple: to save lives. The foundation sponsors a variety of educational programs to get the message out about the importance of breast health. From education on the importance of early detection to explaining who is at risk for breast cancer, the Maurer Foundation is a champion for breast health both in their local tri-state area and nationally. The Maurer Foundation was originally started by Dr. Virginia Maurer, a breast surgeon who saw a need in her practice to educate women more completely on early detection for breast cancer and on various options and treatments for breast cancer. The Foundation specifically focuses on breast health and gets their message out via schools, community centers, businesses and the media. Because their focus is narrow, the Maurer Foundation has become well-known as the place for cutting edge research in breast health and breast health education. The program began in 1995 and reached just over a thousand people. Since it has grown, the Maurer Foundation for Breast Health Education is reaching hundreds of thousands of women and men. The Foundation offers health educators in high schools the opportunity to participate in a wellness program. The program is geared specifically towards high school students and focuses on changing or encouraging lifestyle behaviors that would reduce your cancer risk. A concern of the Foundation is reaching out to the community. They have presented approximately 51 programs in the New York City area and are continually seeking to expand their venues. Businesses, colleges, and community centers are just some of the venues that through which the Maurer Foundation works. The peer education program was started in 2006 and is one of the distinctive aspects of the Maurer Foundation's educational outreach. Based on the idea that younger teens will respond more positively to older teens, and that good habits must start early in life, the Maurer Foundation seeks to train peers to run breast health education programs for younger middle school and high school students. The programs are also focused on reducing risk through lifestyle choices. This is a series of seminars held at various locations and is geared towards health practitioners, survivors of breast cancer, and students pursuing careers in health care. The Maurer Foundation continues to grow and expand their efforts to education women and men on breast cancer. If you are interested in learning more, contact the Foundation by calling 1-800-853-LEARN or by emailing info@maurerfoundation.org. To contact the Foundation by mail, send correspondence to 114 Old Country Road, Suite 400, Mineola, NY 11501. For a complete listing of Foundation events, see the Maurer Foundation Calendar online. If you are interesting in making a donation, you can donate through the Foundation's website.